This modern apartment relaxes all who visit due to the views and comfort. This apartment has one of the best sea views in Ireland looking out from the first floor across the ever changing Atlantic towards Ramore head and Portrush with its world famous Golf course , Royal Portrush. Relax in the comfortable lounge as if sitting on a Liner after a good night's sleep. Certified by the NI Tourist Board as a quality apartment. Washing machine, dishwasher, hot air dryer, towels and linen all included. There are two double beds, one bathroom with bath and shower and secure parking via a keycode gate. The kitchen is fully fitted with double oven and microwave, fridge and freezer. The welcome book is full of praise from previous guests with the location and view at the top of everyone's praise list. Please note a higher rate will apply to the week of the North West 200 Motor-cycle races. Note also there is no wifi but there is a strong 4G signal capable of running social media video and fast email. Wifi is available in many local cafes. We bought the apartment because the area is perfect for family holidays, bank holiday weekends and chilling out after a weeks' stress. The first floor position mean when we walked in, the view sold the place immediately. There is also secure guaranteed parking which was a plus. And the fact it is off the main route means it is quiet year round. Shower cubicle, bath , sink, toilet. Hot water provided by instant demand. Modern double oven with grill recently renewed. great range of courses nearby including Portrush x2 , Portstewart x 3 , Castlerock. The view from the flat is stunning, the location is excellent for exploring the coastal causeway, and the flat was clean and comfortable. Mike and Fionnanuala were helpful and quick to respond to questions. Apartment very clean and comfortable. It had everything one needed, excellent central heating, secure parking . The views are stunning . Could not ask for better. Would certainly love to stay again. Beautiful view and great apt for visiting the north. We enjoyed our stay at Port Stewart. The condo is clean, and in a lovely location. Mike was very helpful. The apartment is well sited to access the attractions of the Irish North Coast such as the Giants Causeway, huge sandy beaches which have safe bathing as well as challenging surfing bays. There is a great range of eating places and pubs on hand. For Game of Thrones fans you are close to filming sites, and for golfers there are four fantastic links courses within 30 minutes drive. Portstewart is a really friendly seaside town and retains its charm without excess commercialism. 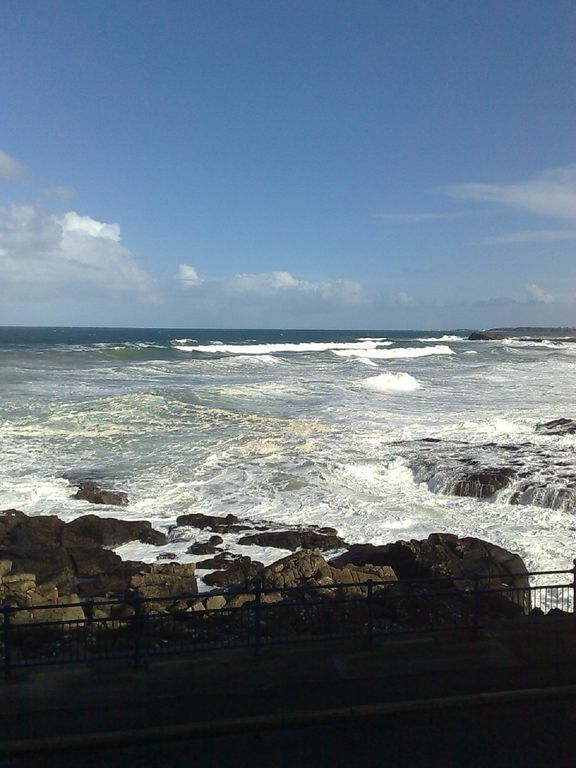 Portrush is a 20 minute cycle away and the harbour area there has excellent restaurants. There are many coastal paths to walk and the sections at Castlerock and between Dunseverick and the Giants Causeway are truly breath-taking. After all that exertion , sitting back in the apartment window is a reward worth taking. Please note bookings in July and August are on a Saturday to Saturday basis.